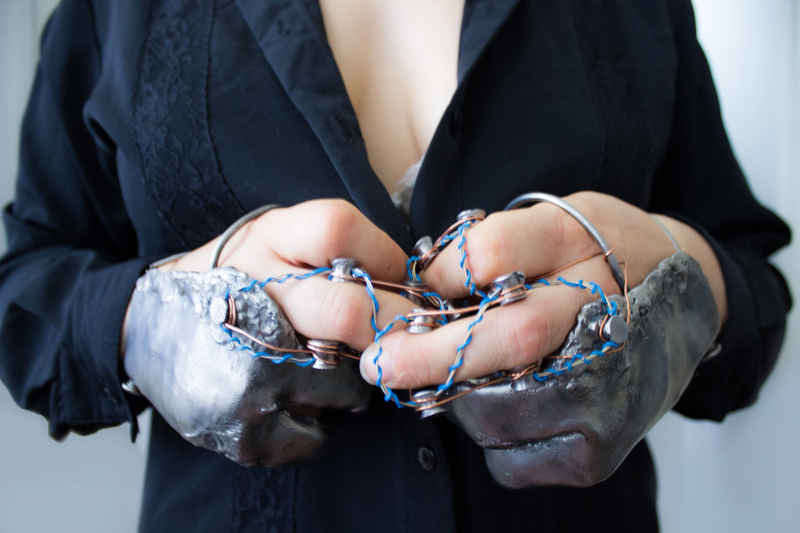 A wearable kinetic forged steel sculpture for the hands. 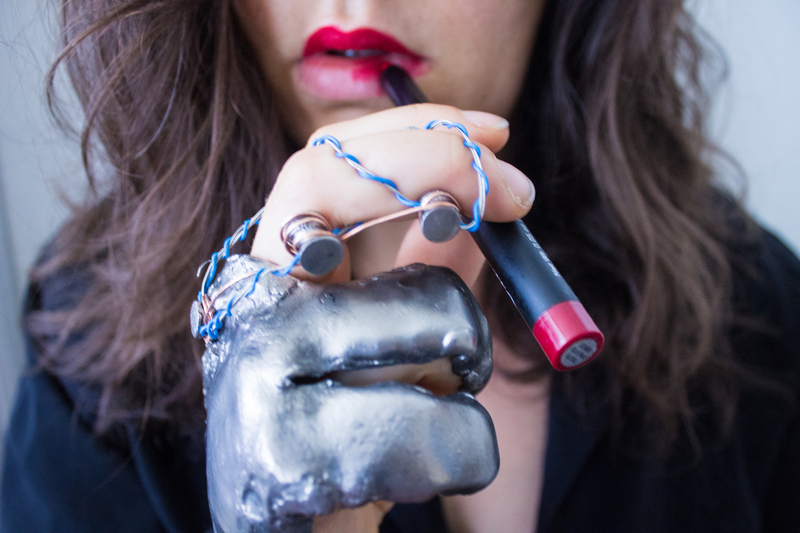 Solimanto has experienced intermittent bouts of hand palsy from muscle spasticity caused by multiple sclerosis which causes her to feel shame from the stigmas surrounding this condition. For example, during one of Trump’s speeches he mocked the reporter Serge Kovaleski with a health condition surrounding his hand and arm implying his condition with his arm impacted his intelligence. This political piece explores an empowering approach on the stigmatization associated with health conditions.